Re: How can I change entry fee for Sit and go games? I don't want to play for $50M. Thank you for your interest in playing our game, bez1111! Select SIT N GO, then click on the BUY-IN tab to sort the amount. After sorting, you may pick your desired Table. Please see this VIDEO for a clear guide on how to adjust the buy-in cost. Scroll to the right until you see SIT-N-GO. 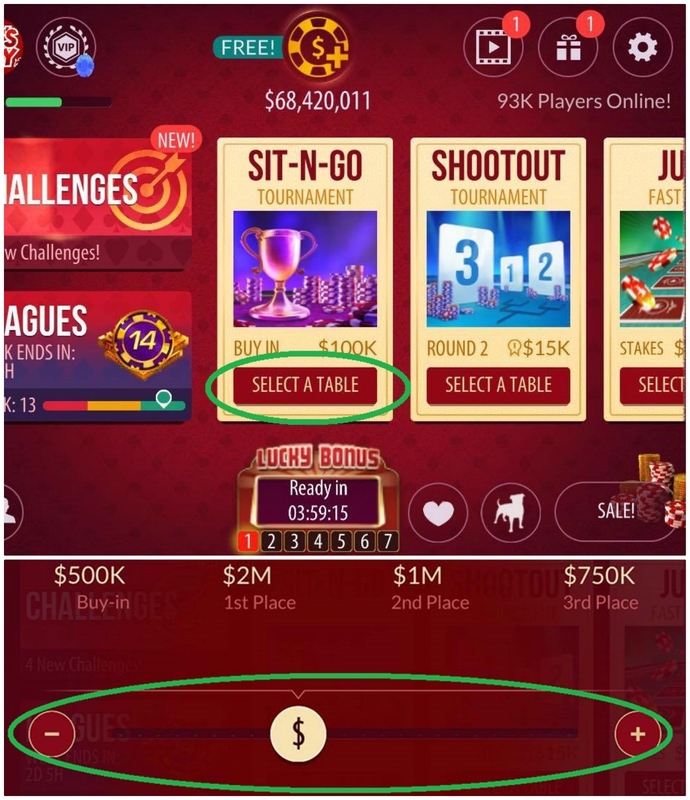 Now, this next step is very important: don't forget to tap the SELECT A TABLE button. After that, you may adjust the amount. See the screenshot below. Thanks! Well, it's already happen. Just take it as a lesson and stay calm at all time. Need to be more focusing on the next round to recover my loses. That happens all the time in the regular games; so I'm pretty used to it.........it's all good. Well, it happens. You just shrug it off, and go to your next game. Here's what appears on my end. Hi Irvin! The limitations on sending/receiving alcoholic drinks is working as designed. Please check your birthday information in your Facebook profile and make sure you are 21 years old and above. Thank you. Re: Will Zynga support ask for government issued ID ? Hi darell and rws1200! Yes. They need your name, picture, and general location to verify your account. You may blur or erase confidential details like specific location, birthday, address, ID number, etc. Thank you. survey: Who wants the collectibles back in the game? Thanks for reporting this to us, elpida. 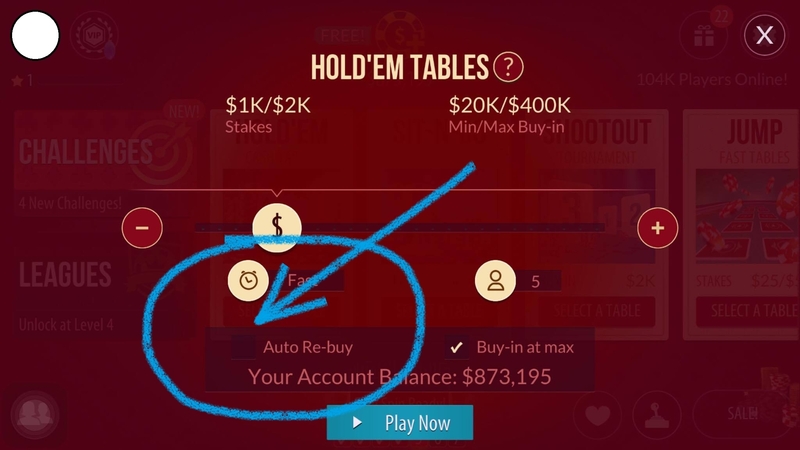 The link provided is a scam produced by players that, most likely, will steal all your winnings. Please refrain from clicking it. That person is not affiliated to Zynga Poker. Free Chips are posted and can be claimed in our FAN PAGE.